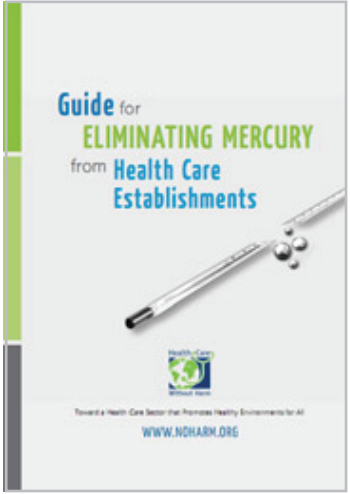 A component of the UNEP Mercury Products Partnership, the Mercury-Free Health Care Initiative (www.mercuryfreehealthcare.org) achieved significant success in raising awareness among ministries of health, health systems and thousands of hospitals on every continent that it is possible to develop and implement policies and procedures to make the switch away from mercury. This work provided an instrumental input into the Minamata Convention on Mercury negotiations because it showed that substituting mercury containing measuring devices in health care could be done/was achievable. Now that the Minamata Convention is in place (including articles that require phase-out of the manufacture, import and export of mercury-thermometers and blood pressure devices by 2020), countries now need to develop and implement national, health-system wide strategies and programmes to phase out the import, manufacture and export of such devices. As a result, WHO and HCWH are launching a new phase of our collaboration to promote implementation of the treaty.